This data set contains sensitive biological resource data for dolphins and manatees for the Upper Coast of Texas. Vector polygons in this data set represent marine mammal distribution. 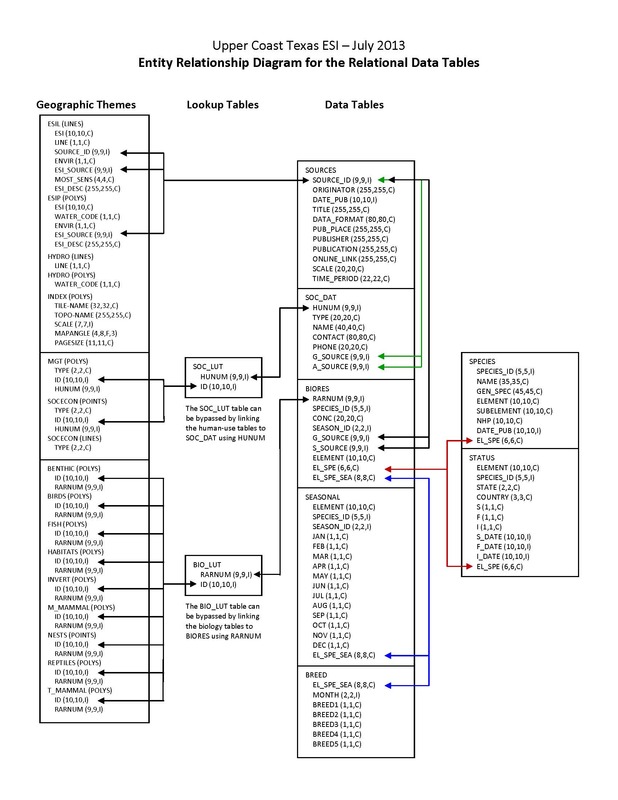 Species-specific abundance, seasonality, status, life history, and source information are stored in relational data tables (described below) designed to be used in conjunction with this spatial data layer. This data set comprises a portion of the ESI data for the Upper Coast of Texas. ESI data characterize the marine and coastal environments and wildlife by their sensitivity to spilled oil. The ESI data include information for three main components: shoreline habitats, sensitive biological resources, and human-use resources.